“Whether you’re Latino or Middle Eastern or LGBTQ or maybe both–or all three–it’s a really defining time for our country. We have to stand for our values. An assault on any one of us is an assault on all of us,” said the 29-year-old challenging anti-LGBT Republican Rep. Duncan Hunter in California’s 50th congressional district, covering northeastern San Diego County. “We’ve seen how Donald Trump has really enabled the worst of the worst to come out of people. 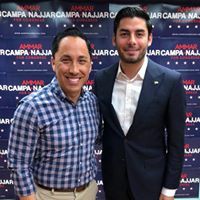 And right now it’s really about bringing people back together again,” Campa-Najjar told the Los Angeles Blade last July, noting that he has an LGBTQ stepsister and his stepfather, a Vietnam veteran, is a Trump supporter. Though the 50th CD is on the list of GOP seats Democrats are hoping to flip to win back the House, this race is a steep climb. Though Hunter was the target of an FBI investigation before the June primary, a San Diego Union-Tribune poll showed Hunter with 43% of the vote to Campa-Najjar’s 10%. Unlike Trump, Hunter doesn’t wear corruption and irresponsibility well. A Monmouth University Poll subsequently revealed that Hunter was still leading with 49% but Campa-Najjar had jumped to 41%, with 10% undecided. Hunter could lose his legacy seat, handed down from his anti-LGBT father, Duncan Hunter Sr., who won reelection from 1981 to 2009 largely because of his position on the powerful House Armed Services Committee. Hunter Jr. has used his seat on that committee to collect campaign money and posit anti-LGBT legislation like the proposed ban on transgender military service, advocated by the Family Research Council. House Speaker Paul Ryan temporarily removed Hunter from three House committees after the indictment. But he still uses his committee connections to wield political power. On Oct. 15, Hunter released a letter labeled “Security Alert” from retired brigadier general Terry Paul and two retired major generals, Randall West and T.L. Corwin—all three lobbyists with business before the House Armed Services Committee. 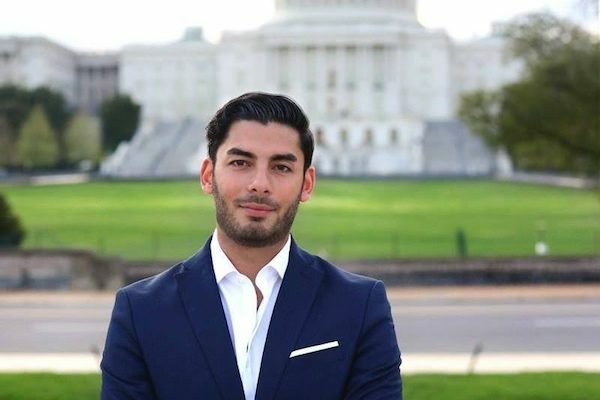 They allege Campa-Najjar is a “national security risk” who would use “secret information on U.S. military operations” to protect disengaged family in the Middle East. “Mr. Hunter’s ongoing attacks on me, his wife, and the Justice Department aren’t just political; they’re pathological,” Campa-Najjar said in a statement. VoteVets encouraged 148,000 Twitter followers to complain to the Marine Corps. 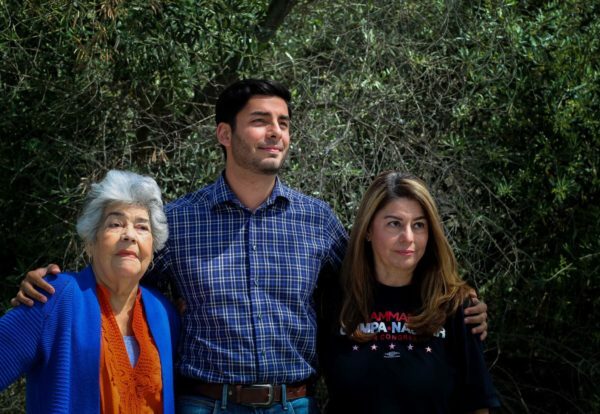 The Union-Tribune disputed the allegation that Campa-Najjar—who was raised by his single Catholic Mexican mother after his Palestinian father left when he was a boy—is a risk to national security because his grandfather, who was killed by Israeli commandos 16 years before Campa-Najjar was born and whom he has strongly disavowed, was a terrorist who helped plan the 1972 attack on Israeli athletes at the Munich Olympics. “It’s also well-known that Campa-Najjar, a Christian, has had literally nothing to do with his grandfather. 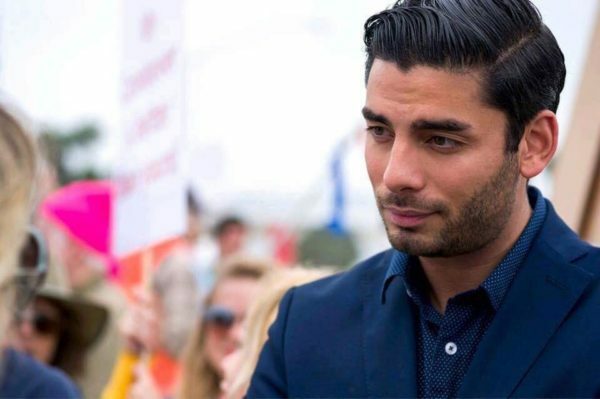 As Campa-Najjar notes, when he worked at the White House, he was ‘given a security clearance by the Secret Service after a thorough background check.’ With this smear, Hunter continues to demolish his own reputation,” said the Union-Tribune editorial. It’s a flash of anger from a contemporary Christian gladiator. Campa-Najjar speaks with such authentic empathy and thought about the biblical principles of love, as well as the distortions caused by “toxic masculinity,” he sounds like an updated version of Thomas a Kempis’ “Imitation of Christ.” In fact, the real “nightmare” Campa-Najjar may pose to Trump and anti-LGBT religious right hero Mike Pence is his grasp of humanity and real morality. Agape, for instance, is “unconditional love. That no matter what you do, what you believe in, how different you may look or feel or love or live—that is irrelevant to the fact that you have to show people love,” he says. “The opposite of love is condemnation and then putting that condemnation into action by persecuting others is very far away from what God died for, in my view,” Campa-Najjar says. Campa-Najjar continues, as if recalling a memory: “And Jesus was so angry that he turned over the tables and the money and he said to them, to the religious elites: ‘you’re white washed and beautiful on the outside but you’re dead inside.’ And he was so outraged that it led to his crucifixion” since Pontius Pilot saw this act as meaning that “Jesus was no longer containable,” that he was a rebel who posed a threat to the elites. “I see that moment as today’s tax plan where it’s basically taking away from those who have almost nothing just to give more to those who are at the very top,” he says. “The income inequality that turns into gender and racial and generational inequality—that’s the kind of thing that morally outraged Jesus so much that it led to his crucifixion. And I think right now we have an administration that is doing the same thing— but in the 21st century, in the form of giving tax breaks to the wealthy at the expense of those who are really, really struggling,” the lower and middle class.